Romans came to this site in AD 47 and established the civitas of the Corieltauri tribe. Street grids were set up in AD 100. The town bath complex dates from AD 150. A town wall was built around the 48 ha of Ratae Corieltauvorum in the forth century. Back wall of the exercise room (palaestra) of the town bath complex. 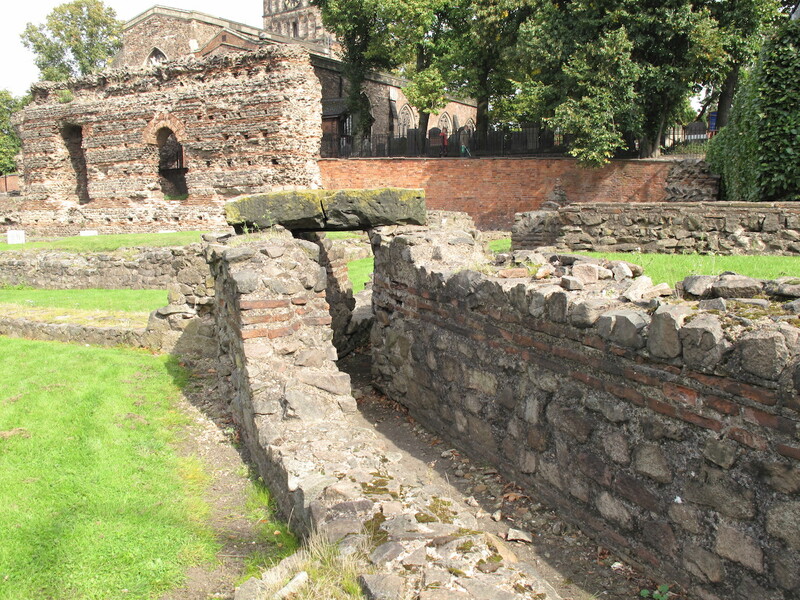 It is one of the tallest Roman walls still standing in Britain at 30 feet. Foundations of hot, tepid and cold rooms and water conduits. 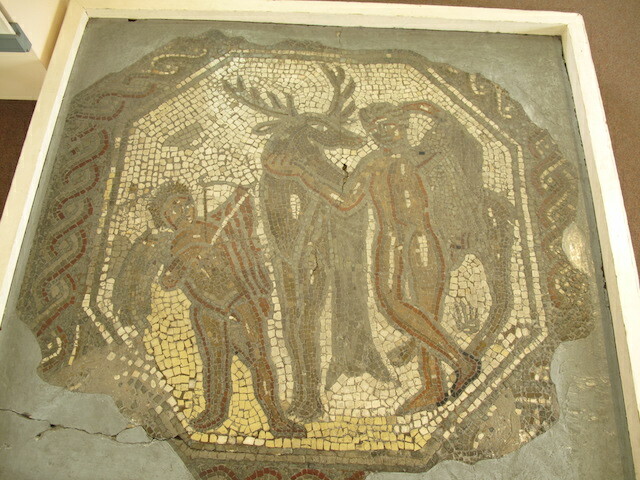 Cyparissus mosaic depicting Cupid, Cyparissus, and his pet deer. The myth tells of how Cyparissus accidentally killed his deer and that in sympathy, the gods changed him into a cypress tree, the symbol for mourning. Blue Boar Lane painted wall fragments. Pottery fragment with inscription Verecunda Ludia Lucius Gladiator, considered a love fragment meaning Lucius the gladiator loves Verecunda the actress.